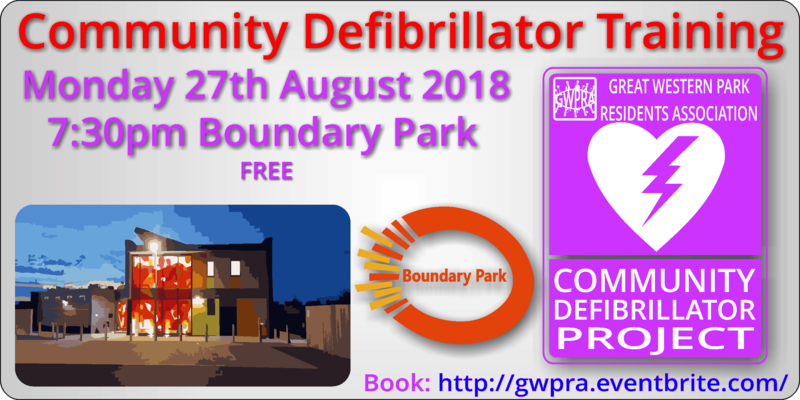 Another opportunity to be trained in the use of our Community Defibrillators, kindly provided by one of our Residents. Please only book if you definitely intend to attend, as spaces are limited. 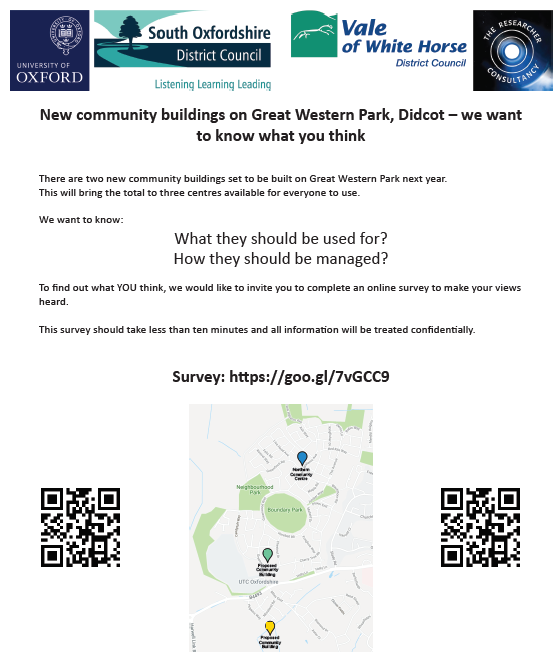 The Council are currently conducting some research into the Community Buildings on GWP. 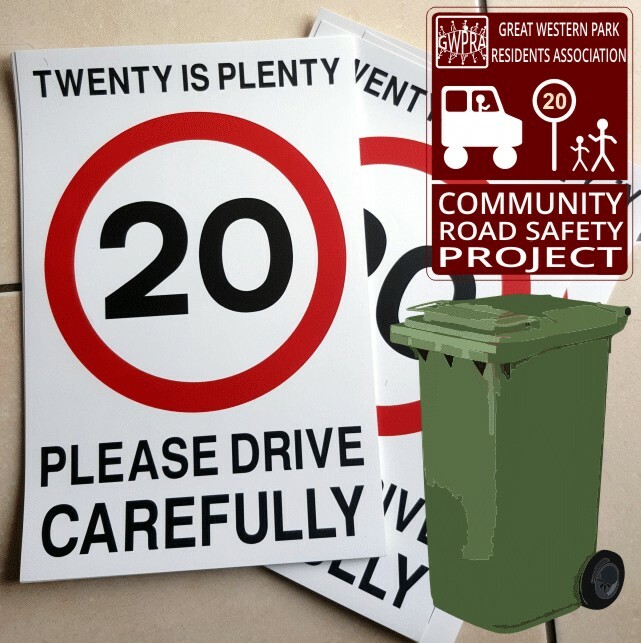 Please complete the short online survey to assist them. 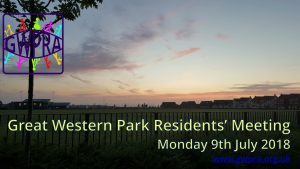 The next GWPRA meeting will take place on Monday 9th July at 7.30pm, at the Boundary Park Pavilion, Great Western Park. Guest speakers include Nicola Wyer (South & Vale). The agenda for the meeting will be published prior to the meeting. 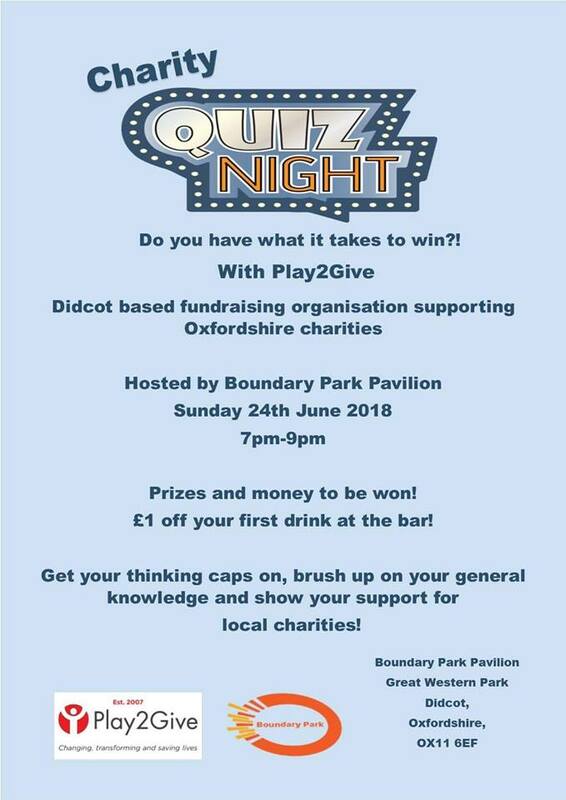 Please support the Play 2 Give Charity Quiz Night on Sunday 24th June 2018 between 7pm and 9pm at Boundary Park Pavilion. 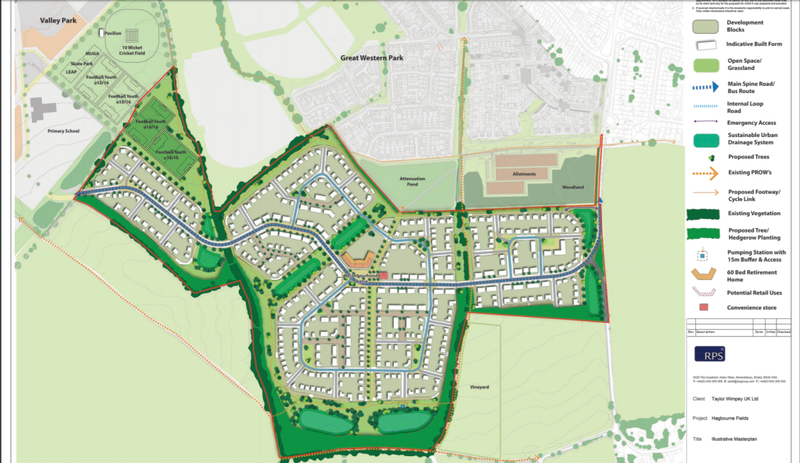 Planning Application P18/S1278/O : Outline planning permission for a residential development of up to 903 dwellings, a 60 bed retirement home, mixed-use neighbourhood centre, sports pitches, community facilities, open space and extensive green infrastructure, hard and soft landscaping, attenuation areas, pedestrian and vehicular access and associated works. Appearance, Landscaping, Scale and Layout all reserved. Please email any comments to secretary@gwpra.org.uk , particularly if you support or reject the application. 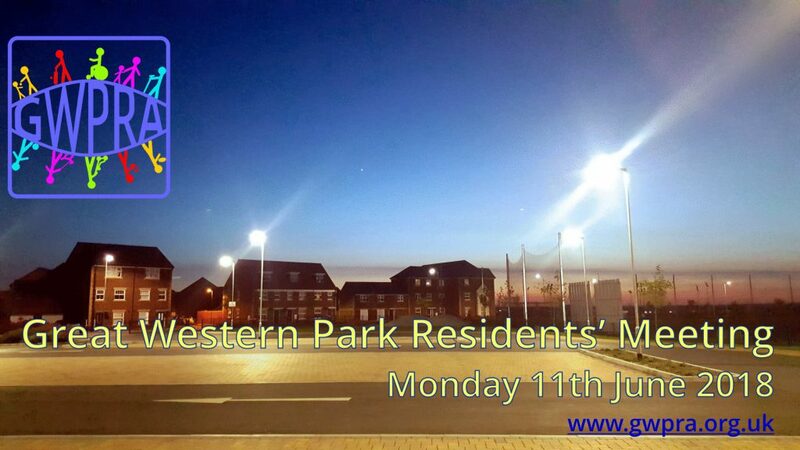 The next GWPRA meeting will take place on Monday 11th June at 7.30pm, at the Boundary Park Pavilion, Great Western Park. Our guest speakers are Julie and Sangita from the Day Lewis Pharmacy.